← Some thoughts on Twins: do you have an astrological one? Born on the cusp? No such thing! “What does it mean if I’m born on the cusp?” This is one of the the most frequent questions asked of astrologers. So – I thought I’d revisit it for the benefit of new readers – with thanks to Rian, who asked the original question. Anne’s Answer: I’m glad you asked this question. It’s one astrologers are asked A LOT ! I’ll answer it in two stages. Firstly, let’s imagine someone out there was due to give birth mid to late June 2013 in Glasgow, UK, and was wondering whether their baby would have the Sun in Gemini or Cancer. At midnight GMT on 21st June (1.00 am UK summer time) that year, the Sun was at the very end of Gemini:29 degrees 48 minutes. By midnight GMT on 22nd June (1.00 am UK summer time), the Sun had moved to the next sign and occupied the very beginning of Cancer: 0 degrees 45 minutes. Thus our imaginary child arriving on 21st June 2013 some time after midnight GMT in Glasgow, UK would have been in popular terms, ‘born on the cusp’. To illustrate this, look at the image below. (click on it to enlarge). Our imaginary cusp Baby X, born in Glasgow UK at 6.00 am British Summer Time(5.00 am GMT) on Friday 21st June 2013, has the Sun in Gemini – at 29 degrees 59 minutes. If this child had been born only five minutes later, however, he/she would have the Sun in Cancer – at 0 degrees 00 minutes. However the horizontal black line is his/her Ascendant or Rising Sign, revealing the way s/he appears to the world in general. This is in the sign of Cancer. Just below this point, squashed together on 22 degrees of Cancer, are Venus (urge to relate) and Mercury (drive toward communication, expression). Thus Baby X has five out of the ten planets (or characters on the stage), and Rising Sign, occupying only two of the twelve signs of the zodiac. This entry was posted in An Astrological Miscellany: of cusps, virgins, atomic scientists, Muhammad Ali and much, much more...(13 articles) and tagged Ascendant, Astrology, GMT, horoscope, House Cusp. Bookmark the permalink. Thanks for all those reblogs, GT! You gave us our own little tease of intriguing light, and when we stepped inside to discover more – there you were with a very interesting lesson for the day. Thanks! Well, as we both know, newspaper astrology as well as weather forecasts have their severe limitations…I went out in our notoriously fickle West of Scotland weather, trusted my weather app that it wouldn’t rain, left my raincoat at home – and got soaked! Wonderful post Anne! It is always refreshing as you cut to the heart of the matter and back it up with logic- much appreciated. Your piece called to mind the writings of Dane Rudhyar – whose writings I continue to love to read. Comforting is his solid conviction was that everyone and everything is created to fill a very specific need in the universe. This ties in with the exact placement of activations within one’s birth chart – there is a specific need for that energetic being – on whichever side of a cusp. It’s almost 2 years since I discovered there was an error in the astrological data base involving the small town I was born in and daylight saving time. When the error was corrected I was quite astounded to discover how much my ego was caught up in the symbolism of the chart (and probably still is to some extent). 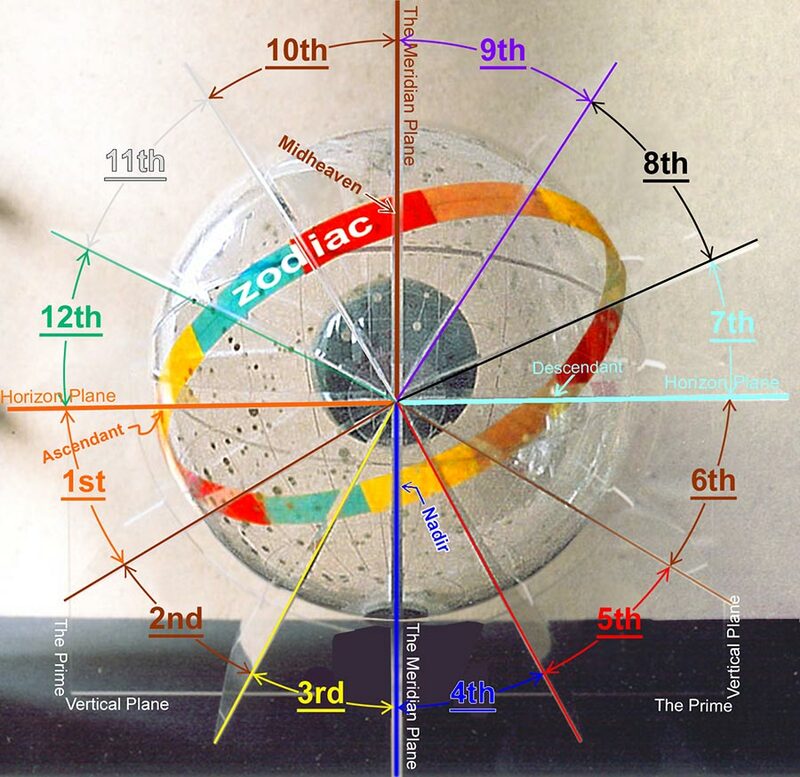 It makes it easier to understand why someone would prefer one zodiacal Sun placement than another (especially when they do not understand astrology) as it can be used to gain or lose status in one’s own opinion or the opinion of peers. My Sun is 28 degrees 54 min into Gemini with the cusp of my 12th house at 29 degrees 43 min. with Cancer intercepted in the 12th. What you said about Gemini feeling restless or stale feels very true! And the analogy you used makes it palpable! Although progressions through Cancer were arduous, the best has been the progressions through Leo! In addition my Moon is 9 minutes into Aries. Many years ago, before knowing much about astrology, a very sweet acquaintance did a bit of an astrology reading for me. When I learned my Moon was in Aries, I was horrified! Seeing my expression he asked why that was so bad. Once he understood that my interpretation was that I was selfish (horrors and guilt!) he was able to put another spin on the lunar influence that enabled me to appreciate it’s gifts. Yes, agreed, Jennifer. Thanks so much for your affirming feedback for my approach, Rena – and for this astute and thoughtful comment. Glad to clear up your confusion, Mary Pat! There’s no problem about the existence of cusps – it’s just saying that people are born on them (usually in the context of the Sun Signs only) that’s the problem! What an interesting, thoughtful comment, Melody! I think the longing to cross the threshold ( despite your clear sense of being a Cancer Sun, albeit at 29 degrees) ties in well with the image I used in the post of being in one room, but the door being ajar to enable one to see that something potentially very interesting and attractive lies in the next room… And of course it does: fiery Mercury in Leo! Hi Anne, I enjoyed your article very much, especially your readers’ comments…interesting to read another 29 Cancer Sun’s point of view. For myself, I feel like I am both Cancer and Leo. But I think that it is more because Leo is rising rather than being born so close to its “cusp.” I have paid particular interest to my progressed sun over the years (which have been many), and this seems to be the primary principle in my actions as I go about navigating this thing called life. Keep up the good work, Anne. We learn much through sharing with each other. Hi Rian thanks for dropping by again and giving this article the thumbs-up! Your question, after all, inspired me to write it in the first place…and also thanks for your interesting comment about the progressed Sun – this, in your case, would have shifted into Leo from your first year, and taken you right through to your Saturn Return. This, combined with Leo Rising, would have given your overall energy a strong Leonine ‘feel”. I’ve fallen in love with Secondary Progressions again since my return to work 5 years ago. So – look out for something on that topic before too long! What confuses me is that a lot of astrologers consider the 29th degree of any sign as being very strong expression of given sign. Critical degree. As in last burst of energy before it goes into another sign. My close friend is 29 degrees Virgo and in my experience he is very much a Virgo (his mercury is Virgo, but Venus in Libra so all things equal). Frankie, thanks for bringing this issue up. I think that the very strong expression which is indeed mentioned by many astrologers, is well summed up in your statement …’As in last burst of energy before it goes into another sign…’ Precisely. Time is almost up, and the energy burst can be seen as a last-ditch attempt to pull things together before it’s time to move on to another landscape altogether.